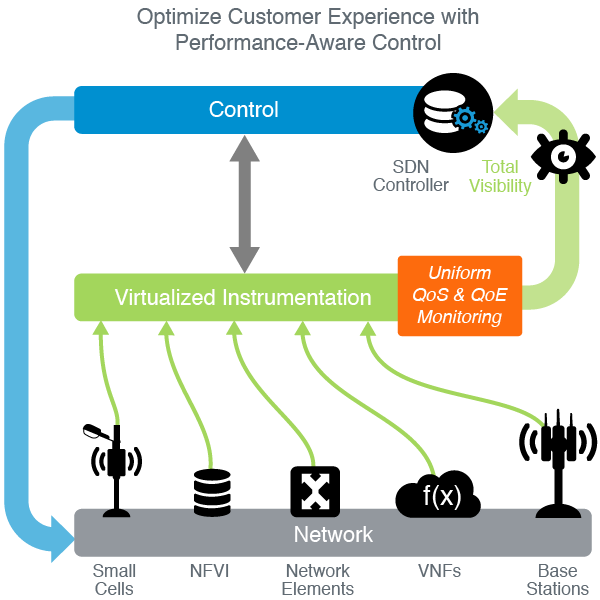 As networks become more dynamic and user-defined, ensuring ongoing quality of experience (QoE) requires new levels of visibility. A uniform instrumentation layer is fundamental to retaining control. Operators use Accedian’s SkyLIGHT™ platform to monitor the performance of software defined networks, physical and virtual infrastructure. Having the complete picture allows them to quickly isolate QoS and QoE issues across all layers and locations. With open integration, SkyLIGHT becomes the immediate feedback that orchestrators and SDN controllers need to optimize user experience in real-time. At the core of the largest intelligent SDN networks, Accedian facilitates the shift to virtualized networks by illuminating each step of this transformative journey.